As we approach spring and warmer weather, people are more inclined to enjoy the outdoors with their dogs and this often brings us closer to wildlife and to farm animals and other potential hazards. 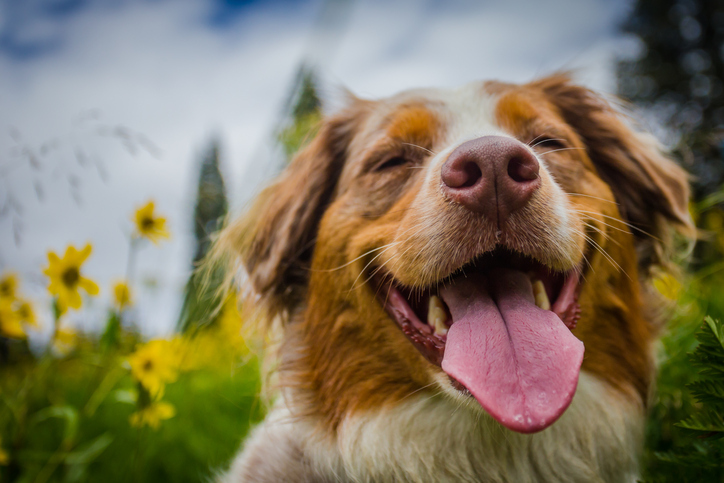 Before hiking in an area where you may encounter wildlife or farm animals, make sure that your dog is either leashed or trained to such a degree that he won’t dash under a fence to investigate cattle, and that he or she will always respond to your cues — even when faced with distractions like wildlife and farm animals. Studies show that one of the top five most common human behaviors occurring at the time of an attack by a wild animal is walking an unleashed dog. The Spanish National Research Council (CSIC) analyzed the circumstances of 700 documented attacks by members of six species of wild animals (brown bear, black bear, polar bear, puma, wolf and coyote) since 1955 in the United States, Canada, Sweden, Finland, Russia and Spain. These researchers found that close to 50 percent of large animal attacks on humans followed risk-taking human behaviors. That’s 350 apparently avoidable attacks! In addition to walking an unleashed dog, other attacks occurred when parents left children unattended when a person searched for a wounded large animal while hunting, when people engaged in outdoor activities at twilight/night (like jogging alone) and when humans approached a female with young. The causes of the other half of the attacks happened when someone accidentally walked close to a mother with young, or to a carcass with a bear nearby, or an encounter with a food-conditioned animal (which is an indirect result of a risk-enhancing human behavior). Spring is also when both wild animals and farm animals are reproducing and feeling, very understandably, protective of themselves and their young. Farm animals are often quickly stressed by the presence of unfamiliar dogs and farm animals. A University of Liverpool study reviewed details of attacks on the public. These attacks occurred between 1993 and 2013 and involved 54 reported cattle attacks on members of the public out walking. Cattle can do serious damage to a human or dog when they feel compelled to. In fact, of the 54 attacks, one-quarter of them resulted in the death of the human. Two-thirds of the attacks involved dogs that were not necessarily actively bothering the cow/cattle. A study measuring fear in dairy cattle concluded that cattle find dogs even more threatening than unfamiliar humans. It is believed that this is because dogs resemble potential predators. The ingredients in fertilizers, insecticides may be dangerous if a pet ingests them. Springtime plants such as rhododendron, hostas and azaleas are also highly toxic to pets and can be fatal if eaten. Be familiar with where you are walking before unleashing your dog. Know where there may be steep drop-offs or fast-moving water. Carry water with you for your dog. Diseases like leptospirosis are transferred through drinking from an infected water source like a puddle or pond. Prolonged exposure to water containing the virus increases the risk of transmission through swallowing, contact with mucous membranes or through an open sore. Dogs that walk in areas frequented by wildlife are at increased risk of this disease. Giardia is picked up from drinking water from water sources where Giardia may live (for example, untreated or improperly treated water from lakes, streams, or wells) and swallowing water while swimming or playing in the water, especially in lakes, rivers, springs, ponds, and streams. Check your dog for ticks after being in an area where there may be ticks and talk to your vet about tick and flea prevention. Lyme disease is spread through the bite of infected ticks especially in the spring and fall when ticks are seeking hosts. Enjoy the outdoors but be safe out there, and respect wild and domestic animals. Make sure that your dog is either leashed or trained to such a degree that he won’t create a risk to himself or others.